Hi! 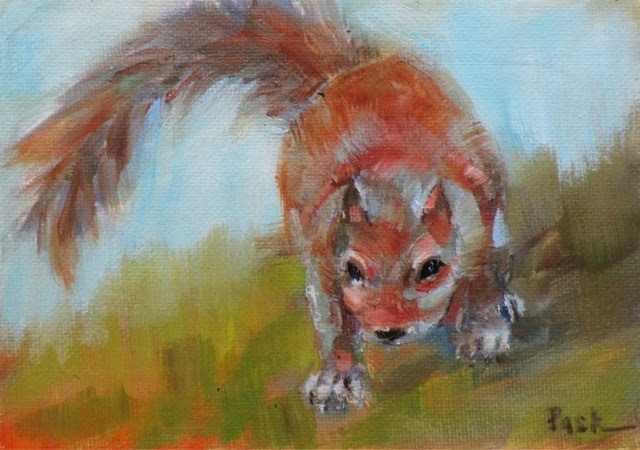 This little squirrel painting is oil in a 5" x 7" canvas panel. Squirrels are so much fun and they eat most of the feed we put out for the birds and we don't mind, well not too much, lol. I'm offering this one with a buy now option, $50 and I'll pay the shipping anywhere within the continental US. Hi Friends! 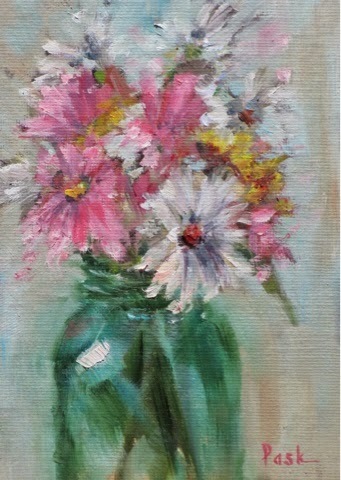 Spring has sprung here and I'm loving it, soon I'll be outside painting. 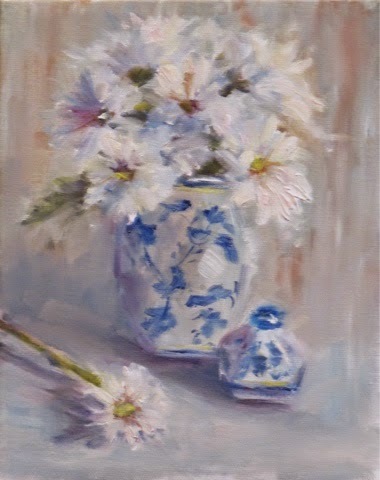 This little oil painting is a 5" x 7" , painted from life. Busy as always, just entered a couple of shows. In May I will be the featured artist at Gallery 42 so I'm starting to think about that too. This coming Thursday is Open House at the Artist Lounge in Mason. Stop by if you are in the area, fun night with food wine music and demos. Hello! 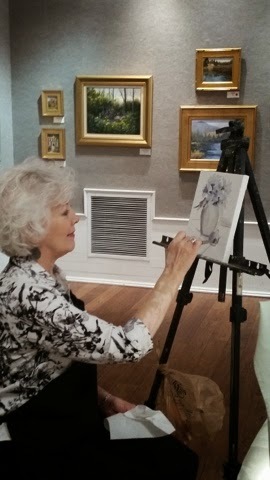 I paint with a group of ladies every Tueday called the Brush & Palette Painters. The group formed over 50 years ago and I'm proud to be a member. Every March we hang a show of our paintings at the Cincinnati Women's Art club in Mariemont. Friday night was our opening, such a fun night and our opening was well attended. Yesterday myself and two other ladies from our group went back down and painted while we chatted with people that came by to see our show. I find that the majority of people that come to see you demo are artists and I'm happy to share any pointers with them I can. Please visit our show if you live near Cincinnati or come to visit.